Slang: The drive has to be perfect to clear the water for the average golfer so breathe deep and let it fly! 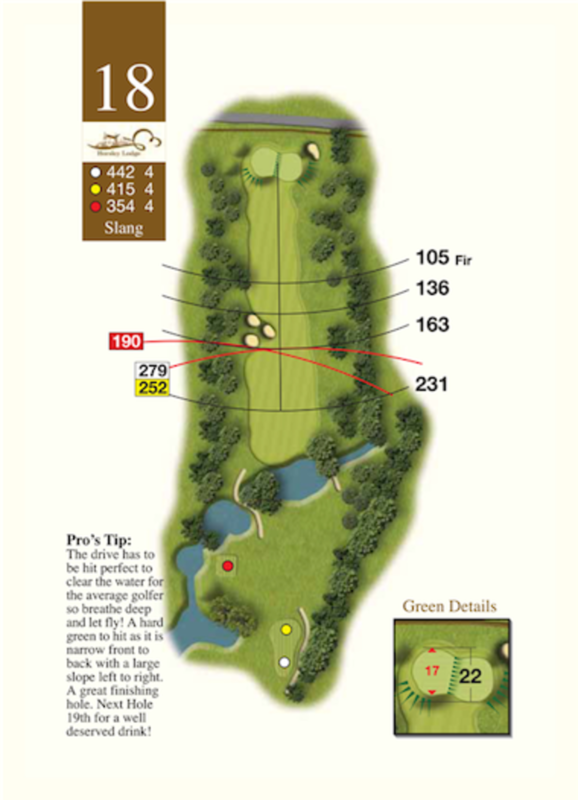 A hard green to hit as it is narrow front to back with a large slope left to right. A great finishing hole. Next hole the 19th for a well deserved drink.